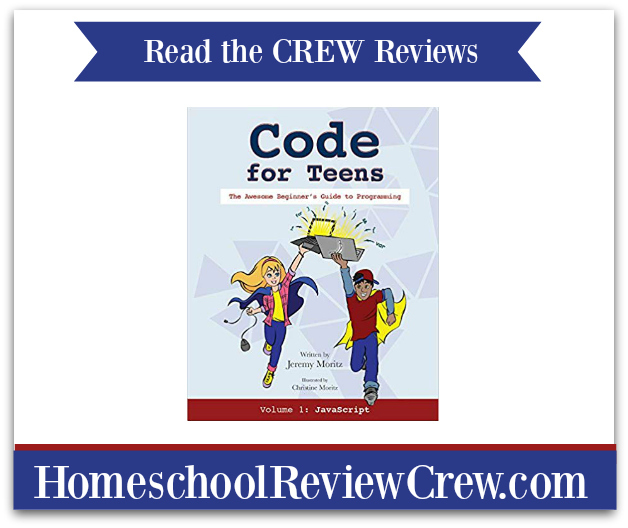 Mr. B and I were both pretty excited when Code for Teens arrived in the mail. 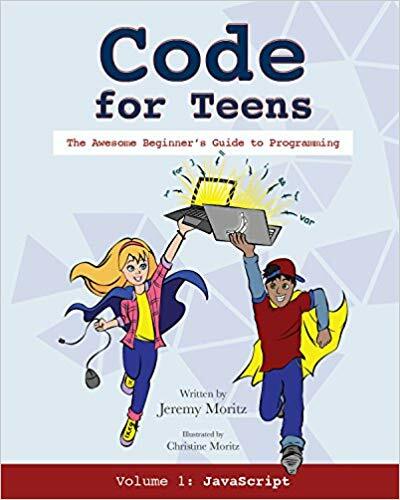 Code for Teens: The Awesome Beginner's Guide to Programming (Volume 1) is exactly what the title says, AWESOME! This book is packed full of beginner level computer coding to help lay down a solid foundation for your child to build upon. Mr. B found this book as soon as it came in the mail, and he didn't even give me time to flip through it before he dashed off with it! My original intentions were to have Mr. B and M using this together, so I could get the IT guy's opinion on it. Great idea, right? Well, I thought so....apparently I should have told Mr. B what the plan was because he took the book, and I just caught glimpses of it after that! He took it on road trips, to grandma's, TO CHURCH! He took it to bed, and would fall asleep reading it. He would then make a bee line to his laptop to try out what he'd just learned about in the book. Forget me. Forget M. Mr. B did this all on his own! Now, going it alone might not sound like such a good idea, BUT this book is written just for that reason! It's written in such a way that kids can work on their own, learn on their own, with little to no parental involvement at all. Coming from this parent who needed two tries to sync a watch to their phone, that's a really good thing! I did finally manage to wrangle the book away from him long enough to flip through it and get a good feel for it. The writing is catchy, and on a kid's level. From the beginning it equates computer programming with superpowers-even naming the likes of Professor X and Harry Potter. This goes a long way into appealing to kids, and making them want to learn more. The pages are full of color and graphics, but everything is arranged in a nice way so that it's not at all overwhelming. Mr. B really did well with the included photos that show what he should be seeing on the computer screen. That link from book to real world is exactly what a spectrum kiddo needs in order to succeed on their own like this, so that is perfect for him. He can read what to do, but that visual photo shows him if he's doing it right, and if not where he's gone wrong. On more than a few occasions I would hear him say, "ohhhh ok, so that's where I messed up!" Another great thing is the use of bold face and different sized font. When the directions say to press enter, enter looks like ENTER which really helps kiddos like Mr. B understand what is needed. The best part? There's an answer guide in the back of the book! It's a no hassle way for ME to help him, if needed. Plus...I come out looking like the rock star I am knowing all the answers! BHAHAHAHA! But seriously, the set up here is fantastic and very hands off for parents. Your child is expected to open a document to keep track of all "homework" assignments, and even check their own answers. It's important to remember to ALWAYS monitor what your kids are doing online, and it's a good idea to make sure they're following through with all of their assignments, too. I know "my little angel" tried to skip a few! Overall, Mr. B LOVES this and thinks everyone under the sun should have a copy. That's a pretty fantastic review. I found it very helpful, and parent friendly. He has learned a lot, and really likes working on the assignments. We're moving a bit slow, because he wants to memorize the steps to everything I think, but we'll make it through the whole book before we officially start our next school year. I'd like to see an "Intermediate's Guide to Programming" by the same author because the writing style is so fun, and easy to read. Click the banner below for more GREAT reviews by the Homeschool Review Crew!